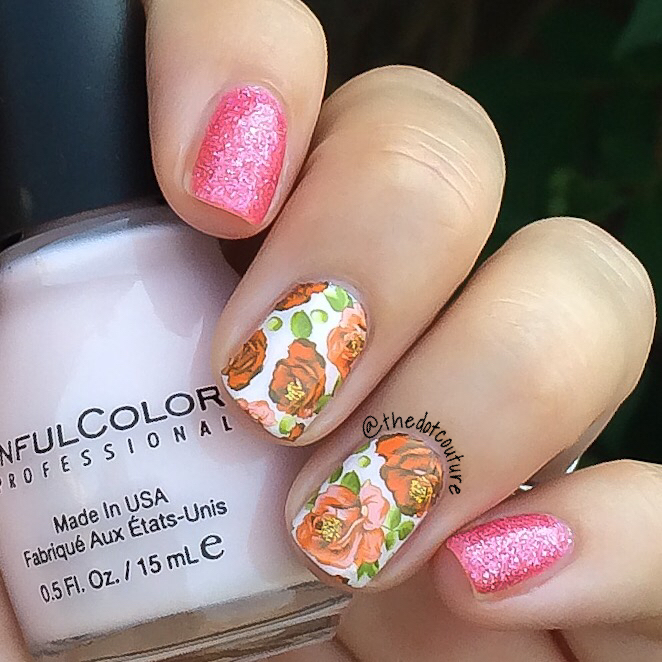 Or you could just trim around the flowers if you only wanted one or two on your nail. 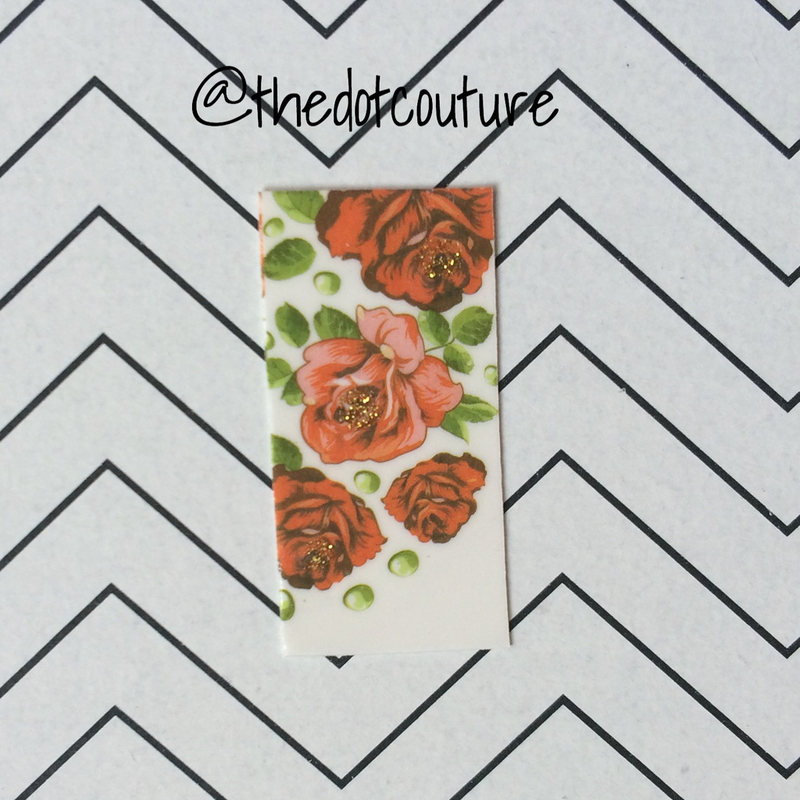 Because the nail decal is on a transparent background, you will want to paint your nail a base colour. I used Sinful Colors Easy Going, a very pale pink / bordering on white. I wanted something to make the floral details on the decal pop. 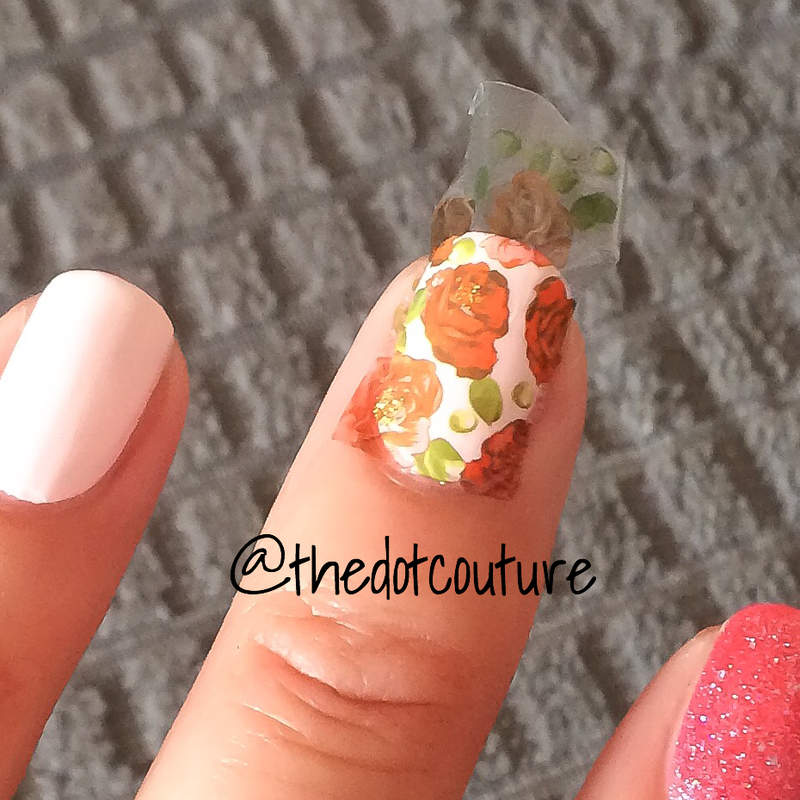 Next you remove the plastic from the top of the nail decal. 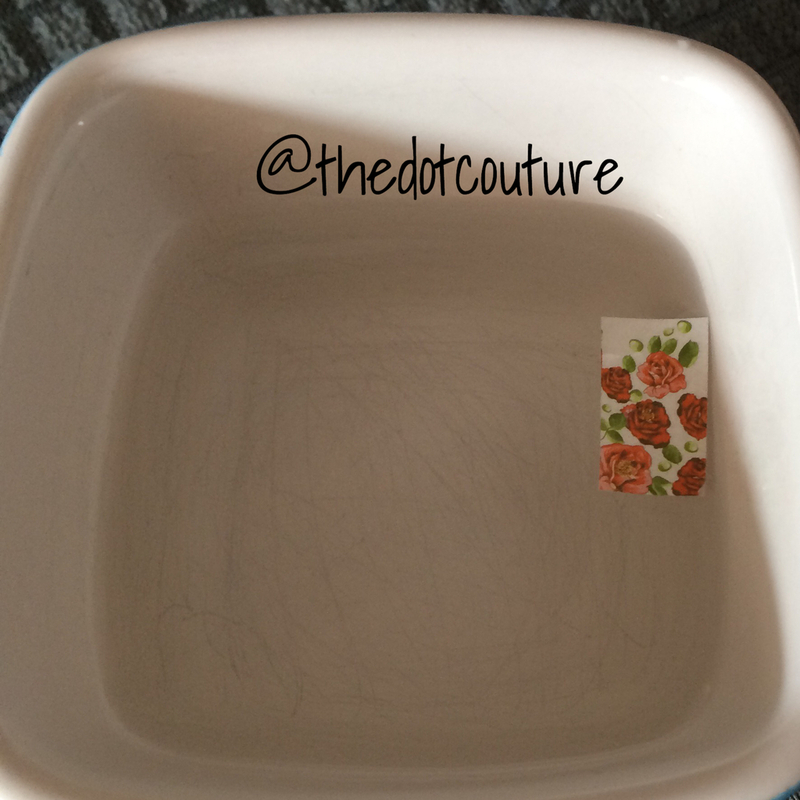 Take a little bowl or cup of quite warm water and drop the decal in for about 60 seconds. This will soften the card stock backing making it easy to remove. You will be able to gently slide the decal off the card stock. Dip your prepped fingernail into the water (this makes it easier to stick the decal down onto your nail) and place the decal where you want it on your nail. Gently press out any wrinkles and ensure it’s secure on the nail. Wait a few minutes and then take a tiny brush dipped in acetone to clean up the excess around the edges. To remove excess from the bottom of the nail, lightly run a nail file a few times along the free-edge. After a couple of files you will be able to pull gently and remove the excess. Finish with top coat and impress all your friends with your mad skills!!! I love the finished product and next time I will do a full mani with them. They wore very well, my polish on my other nails started wearing and the decals were still perfect. 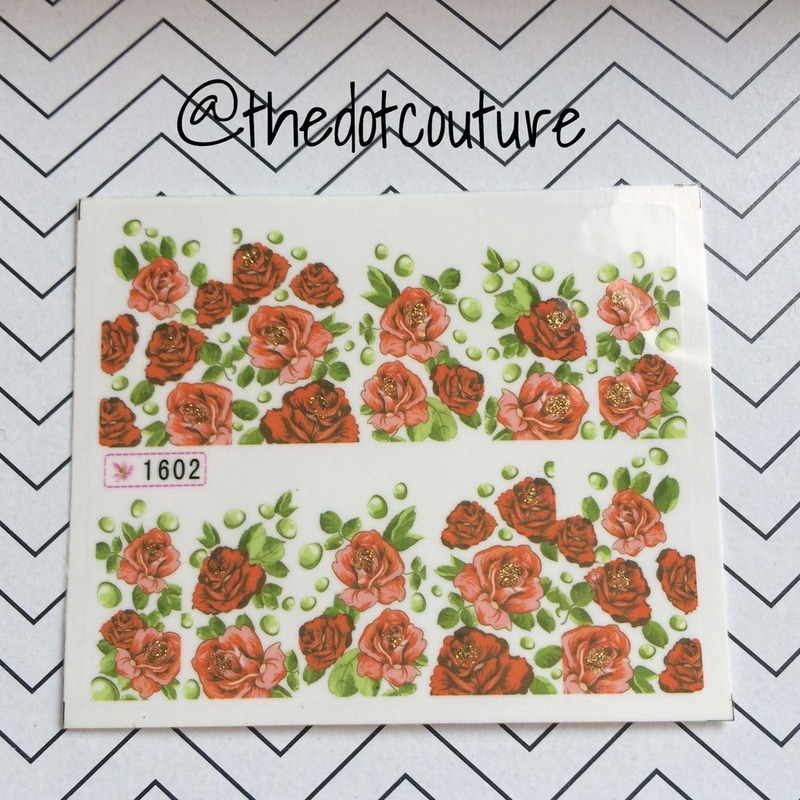 You can buy these from www.bornprettystore.com (Item ID 20622) for only $1.99 USD ($2.40 CAD) and free shipping. The best part is you can use the code JDGK31 for 10% off!!!! 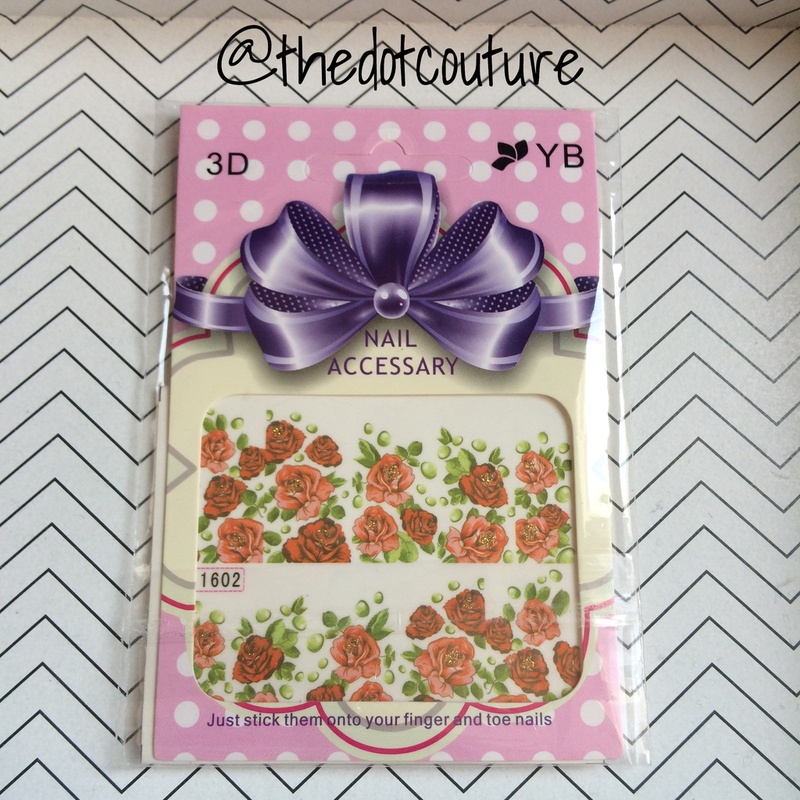 They have a huge selection of designs as well as lots of other fun things for the nail obsessed.